Nintendo is preparing to release a major update to 'Super Mario Run' on September 29, with the Friday upgrade introducing new content to the iOS platform game, including a new game mode and playable character, with a discount implementing at the time of the update's release cutting the price of unlocking the full game in half. The new "Super Mario Run" game mode "Remix 10" aims to give players a challenge by making them run through ten short sections from existing levels in quick succession. The selected stages change with every new attempt, and players will not see a "Game Over" screen if they fail a level, as they will proceed to the next area without a penalty. 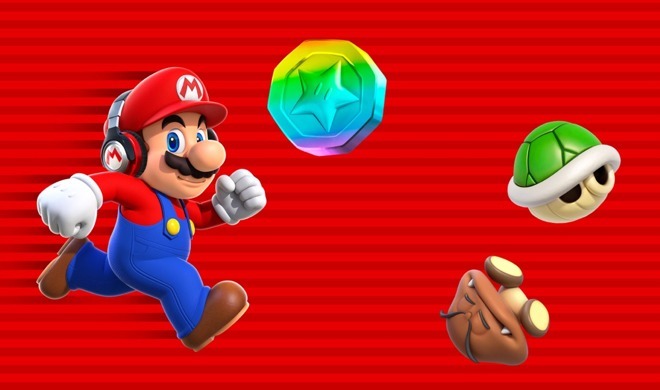 By completing the stages and collecting rainbow bonus medals placed throughout the Remix 10 levels, players can earn new items to decorate their Mushroom Kingdom, and can also unlock new character Daisy in other gameplay modes. 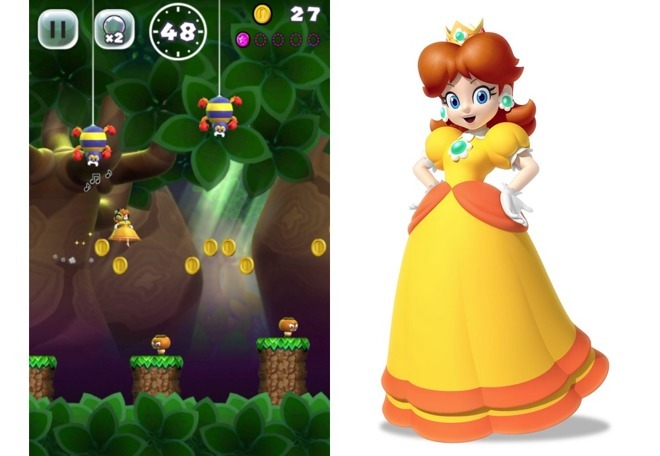 Daisy's special ability is a double jump, which can help players reach high-up bonus coins in the main game. A new world called World Star is available to play for those who have already finished all six original worlds. Consisting of nine levels, these stages introduce new enemies as well as extra gameplay mechanics not seen in other worlds. One other element in the update is the ability for players to create their own soundtrack, with the ability to play music from their collection instead of listening to the game's own themes. When playing music from another app, Mario and other playable characters can be seen wearing headphones during gameplay. At the time of the update's release on September 29, Nintendo will also temporarily discount the full-game unlock by 50 percent for two weeks, until October 12. For the United States, this brings the in-app purchase from $9.99 down to $4.99. The update arrives just after the anniversary of the game's unveiling during the iPhone 7 event last year. Nintendo released "Super Mario Run" on December 15, with the sheer demand for the game causing App Store outages at the time of launch. After launch, Nintendo revealed it had achieved 40 million downloads of the game in its first week of availability and, despite relatively steep pricing compared to other App Store games, generated 6 billion yen ($53 million) in sales in little over one month.